Marcel Broersma believes that visualizing dreams and objectives is a significant success factor for growth. He is the living proof of that. Marcel graduated in Business Administration and Strategic Management at the Erasmus University in Rotterdam. He founded Flex Group Netherlands in 1997 which was elected as the fastest growing European company in 2003. Even though the growth spurt back then was part of a larger process, it became the core of his current organization Peak Value. We talk with Marcel about the power of visualization, visionary and TED-speaker Peter Diamandis and his message for the city of Rotterdam. How did the connection between Peak Value and TEDxRotterdam come about? This year TEDxRotterdam and Peak Value collaborated on the organization of an Innovation Dinner. Peak Value, together with five partners, has been organizing entrepreneurs dinners in Rotterdam for a while. During that evening we inspire entrepreneurs by addressing current topics with a high relevance to entrepreneurship. After over 30 successful editions of the entrepreneurs dinner I started wondering what could be a nice follow-up. I am really passionate about innovations which I want to visualize, so I came up with the idea of organizing an Innovation Dinner. I like working with others so I was on the lookout for a strong expert partner experienced in the field of events on the theme of innovation. I found that partner in TEDxRotterdam. 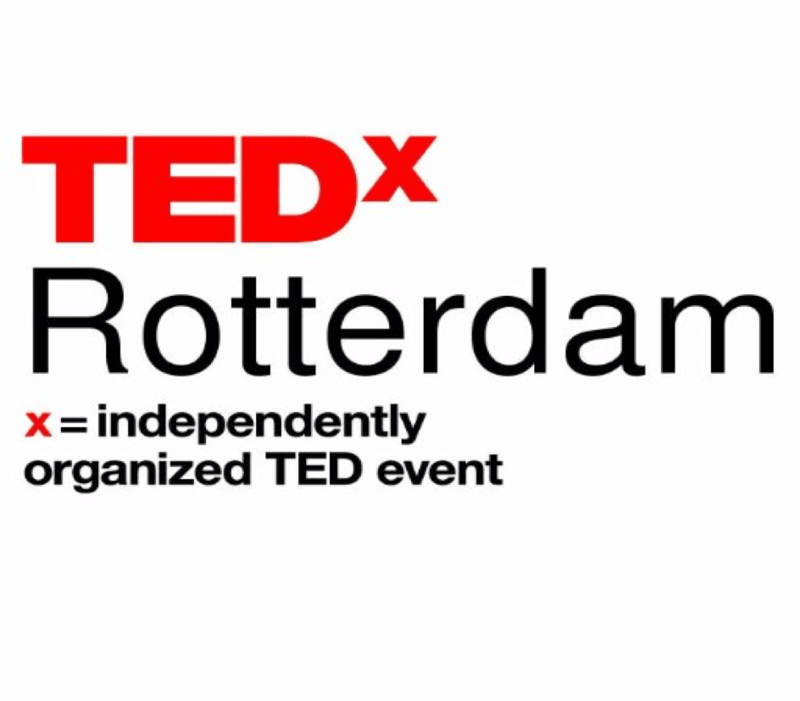 TEDxRotterdam and Peak Value share a strong passion for inspiring, innovating and stimulating. It stirs up people and therefore entrepreneurs as well. And if entrepreneurs are stirred up and they want to grow, they often end up at Peak Value. What does Peak Value mean for entrepreneurs with growth plans? Peak Value helps entrepreneurs visualizing their future. The challenge lies in getting entrepreneurs to take a different view on the future of their companies. We make sure they focus on growth and maximizing the present potential within a company and assist entrepreneurs in the realization of their growth objectives. With a wink we also call ourselves ‘the company photographer’, because we take a picture of the future together with the client. A picture of the future visualizes the growth of your company with a couple of graphic milestones. Would you ever like to give a TED talk? And what would be the subject? It is a dream of mine to once give a TED talk before a large audience. I set the standards high for myself: It must be so good that people internationally get inspired by it. It’s not just the content that is important if you want to inspire others. The form is also essential. I really believe in the power of visualization. I once bought 100 hobby horses to bring a message across when I wanted to bring electric transport to the attention. I even brought them to the House of Representatives. Pretty metaphorical, but it does have impact. Perhaps the power of visualization would be a good topic for a TED talk! I am always looking for things that inspire me and how I can continue growing. I read the book titled Abundance by Peter Diamandis. This visionary eventually ended up on the TED stage, which resulted in my favorite TED talk. Diamandis believes we can expect a better era: it won’t be long before everyone on earth will have access to all basic needs such as clean water, food, health care and education. He is also the co-founder of Singularity University where much attention is paid to exponentially growing technologies. Examples of this are 3D printing, robotics and digital medical science. The latter enables medical knowledge to be spread more effectively, more precisely and better. What effect did that awareness incentive of Diamandis have on you? With your knowledge of business growth, what tip would you give the citizens of Rotterdam? Rotterdam is expanding rapidly. This demands us all to look at the city with another perspective. Not only do we have exquisite architecture, but we also have a lot of substantive knowledge. If we would be aware of that, that would complete it. Years ago Rotterdam suddenly ended up in the top 10 of international cities one must have visited. Frankly speaking I thought: please slow down…But the year after we were on the same list again! At that moment I realized it was me. There was nothing wrong with the city, it was me who just wasn’t looking close enough. We have, for example, an advanced medical faculty and great educational facilities for tomorrow’s programmers. To visualize it I would almost distribute glasses downtown!